Living in the Capital District, I have shopped at Price Chopper for most of my life. During my blogging tenure, I have written about shopping at Price Chopper for Passover and gone to several of their social media events. On Tuesday afternoon, I was invited to a meet up to tour their nearly completed Market Bistro in the Latham, NY store. I was not required to blog, but I really am excited to share about this unique venue in the Capital Region. When I arrived at the store, I walked into the Market Bistro area. I had to stop and look around for a minute because it truly was like nothing else in the area. It was not like a food court at the mall. The atmosphere was calm, the lighting perfect, and it called people to come and explore. Of course, it was not time to check everything out. We were brought back into the cooking school that will eventually be opened and host classes. The room was inviting and beautiful. I can see locals groups getting together there to explore cooking, baking, decorating, and other culinary options. While we waited for everyone to arrive, we were handed the Shopping Directory for Market Bistro. 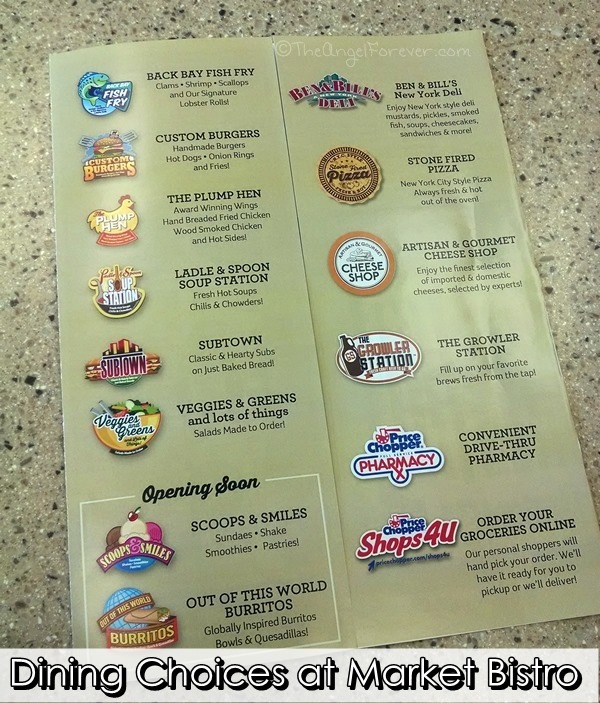 As you will see, there is a large variety of dining choices for all different tastes. Once everyone had arrived we heard from Mona Golub, Neil Golub, Jerry Golub, and Lew Shaye. They explained the history of how Market Bistro came to Latham, NY. 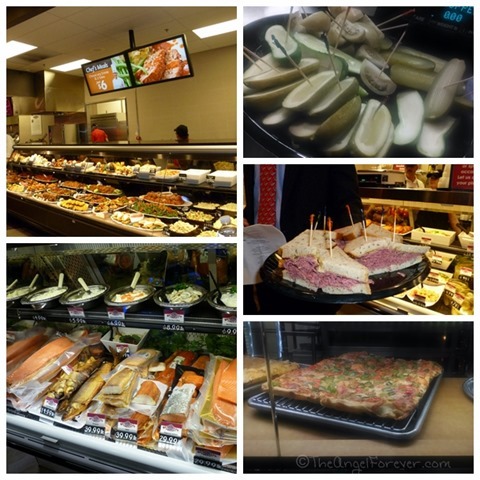 Price Chopper knew that they wanted to add their own twist to the restaurant experience. They wanted to continue with the success of the Ben & Bill’s New York Deli in their Slingerlands store. This time, their focus was twists on American favorites. 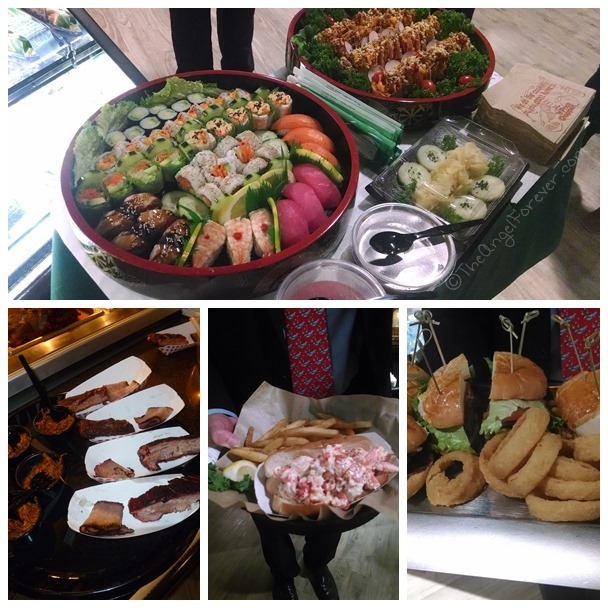 They looked at all of the different foods that we enjoy and added their own twists in the venues that will be a part of Market Bistro. We are all looking at ways to simplify life and now we can dine at Market Bistro and then shop for groceries in the store that we need. Market Bistro will make all items fresh for customers when ordered. Breads within the Bistro Blvd are made special by Price Chopper. The smoke house is something new to Price Chopper. 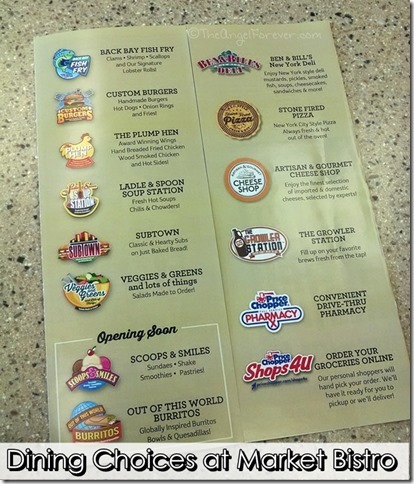 My favorite fun fact that really hit home was how Market Bistro will aim for a theme park atmosphere. I do believe they have hit this out of the park. 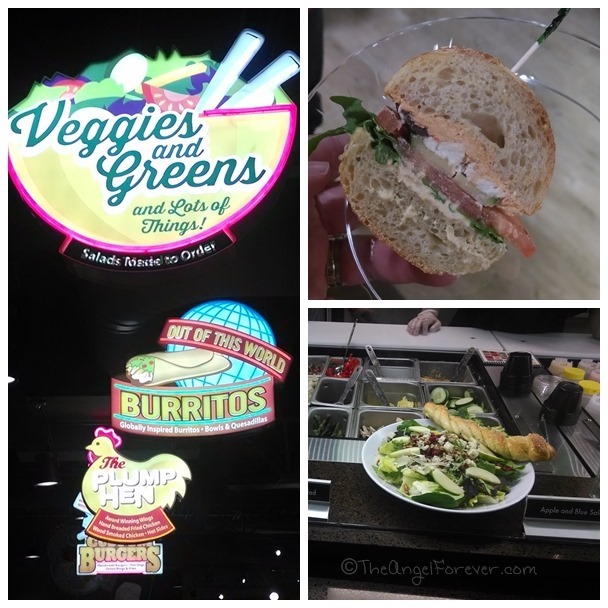 While walking around Bistro Blvd., I felt like I had been transported to Seasons in The Land at Epcot where you have an amazing variety of different foods at your fingertips. Why yes, it’s like Orlando, Florida has come to Latham, NY! Then it was time to go on a tasting tour of Bistro Blvd. We learned that there will be limited time only items on menus to keep things fresh. This will be wonderful for those that are close enough to pop in for meals on a more regular basis. While walking around, we were treated to a beverage from Starbucks, sub samples from Subtown, salad taste from Veggies & Greens and Lots of Things, and some tastes of globally inspired burritos and quesadillas from Out of this World Burritos. We continued along to The Plump Hen to try their wood smoked ribs, brisket, and pulled pork. Then there were burgers, specialty hot dogs, onion rings, and french fries from Custom Burgers. Back Bay Fish Fry allowed us to try out their signature lobster roll (delish). After this, a colorful display of sushi was waiting for those who were adventurous to taste. Looking for cheese? 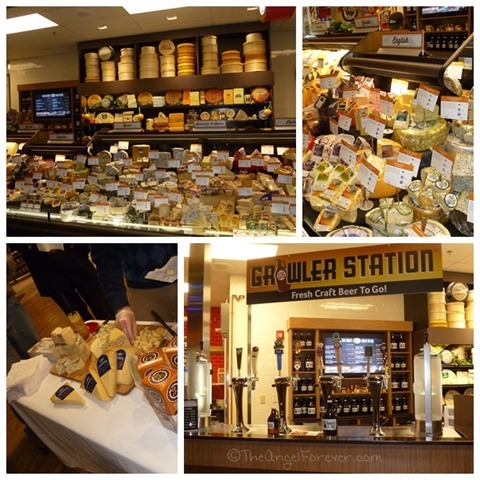 Look no further than the Artisian & Gourmet Cheese Shop where they have 300 varieties that are unique to this Price Chopper store. Oh and right next to this, check out the The Growler Station where you can fill up favorite brews that are on tap. 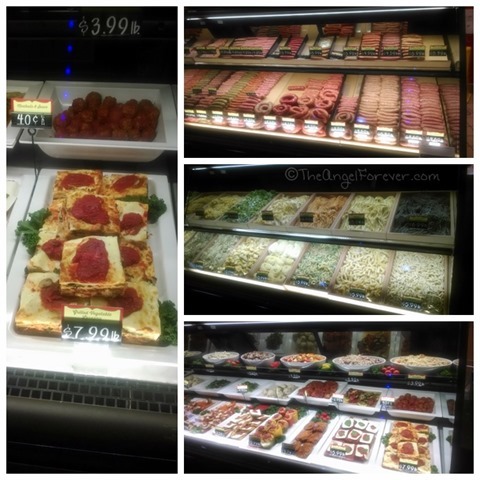 The Italian Market has a a wide variety of sausages, fresh made pasta, premade specialties, and more. We continued along to see options that are available to take home from Chef Meals. Items available here will rotate and be limited time only and for $6 you select one entrée and two sides. Next up we tried NYC deli sandwiches, pickles, and potato pancakes from Ben & Bill’s New York Deli. Like the one in Slingerlands, this one has a wide variety of items like you would be able to get in NYC. One of our last stops was at Stone Fired Pizza where we also had some slices. Next, we learned about the Chef’s Grill that will be opening shortly. Then it was time to end with a sweet treat. 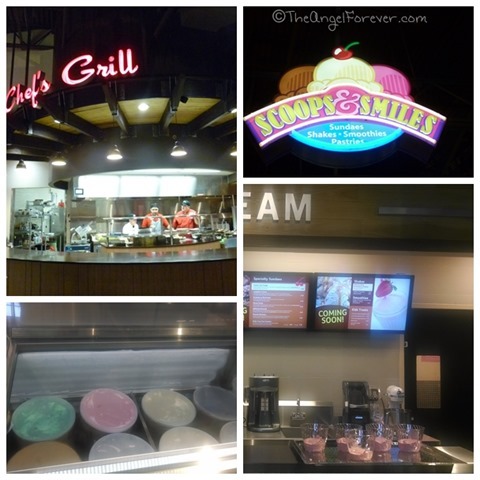 We went over to Scoops & Smiles where we were treated to a hot fudge sundae and smoothie sample. Price Chopper makes their own hot fudge and whipped cream. I personally would have loved a big bowl of just the whipped cream as a treat, but that may just be me. The smoothie is definitely something I can see getting again on a warm summer day. Of course, I know my boys will love walking into Market Bistro and seeing the ice cream shop. So what are my thoughts? 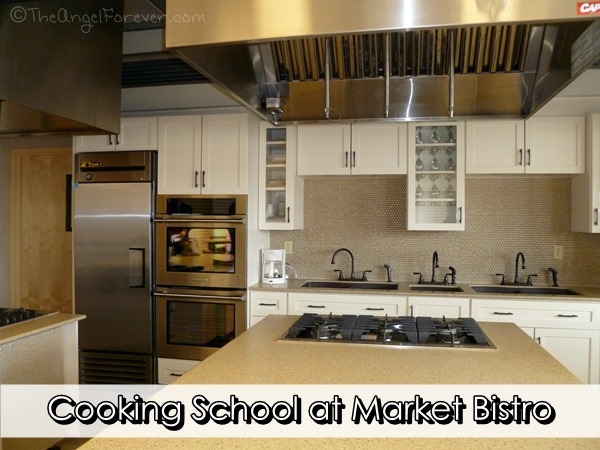 I can not wait to bring my entire family back to Market Bistro. 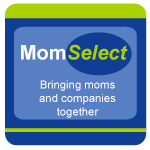 I think it will be a fun family dining destination where we will all find options that fit our individual tastes. I know that we will be back soon to work our way back around Bistro Blvd. trying new specials and familiar favorites. Disclosure: I was invited to the Price Chopper Market Bistro tasting tour to learn more about their latest addition to the Latham, NY store. 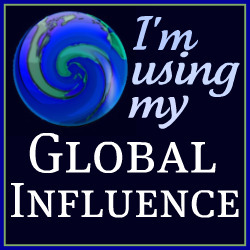 I was not compensated or expected to write any reviews. All opinions are my own. I did receive a bag of goodies, to thank me for coming at the end of the tour. 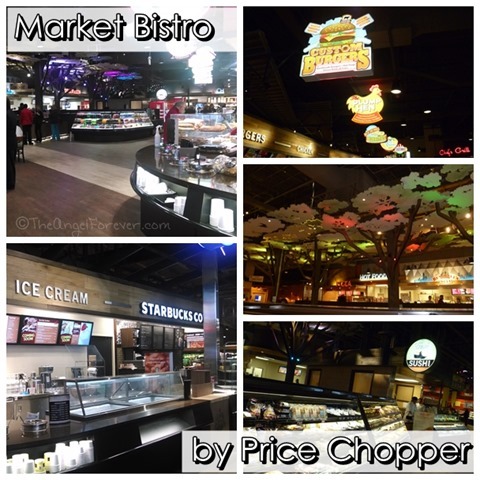 Will they be rolling out the Market Bistro to other Price Choppers? That’s where we shop here in Newburgh and I think the whole family would love this!